Phonological Awareness is the ability to recognize the sounds of words; this is one of the vital skills that students need to acquire for reading and is invaluable for truly picking up a language. This is when kids learn how to work and manipulate the alphabet sounds they have initially studied. Do you remember when you were once taught how to pair up correct rhyming words? If you do, then that was already one of the ways to absorb Phonological Awareness. Teaching children how to read and comprehend properly is something all parents, teachers and SLPs want for their children. Even in a “normal” class of students though, it is rather common that there are children at different levels: some of whom may appear to naturally able to read and comprehend easily, while others may need quite a bit more time and practice to pick up the skill. The latter challenge has eventually led to the formulation of new unique ways to successfully educate children on how to become successful readers. Amongst these techniques, one of the most important tasks that need to be addressed is helping students develop Phonological Awareness. 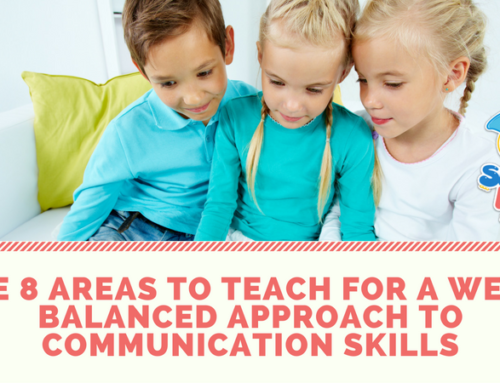 Fortunately, after years of technique development for early education, a number of ways to effectually teach Phonological Awareness are now easily and readily available. What are some strategies used to teach it? 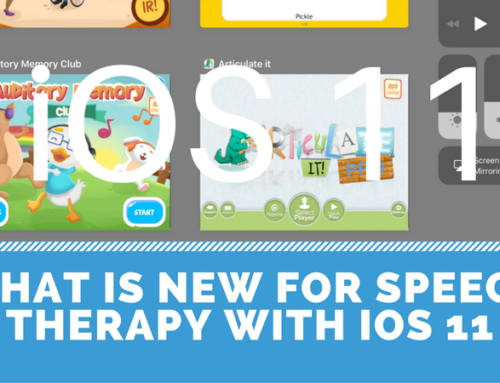 There are a lot of ways to impart Phonological Awareness to our learning children, and here are some of the techniques that are available in the Phonological Awareness Lab app that teachers may follow and improvise for their classes. In this method, a sentence will be given and the students will be asked to count the number of words in that particular sentence. This way, students must be attentive enough to be able to recognize the individuality of each word that has been vocalized by the instructor. SLPs may want to consider forming easy sentences that are not too long to avoid confusion. Also, the words used in the formulated sentences should already be familiar to the students for an easier grasp. To be able to learn the essentialities of blending syllables and blending sounds is the goal of this method. Indeed, repetition is the mother of learning because in this scheme, words are repeated slowly until the students eventually recognize the word without uncertainty. Try to prepare as many words as possible with different numbers of syllables to hone the students’ skills. Be attentive. Most of the critical mistakes are on the littlest things. Determining words that rhyme may not always be the easiest for early learners. Therefore, it is important to make the students realize the key aspects of when to consider that a word rhymes with another. One way to teach this to children is to present them with as many sets of words that rhyme as possible. Eventually, this will familiarize the students with rhyming and non-rhyming words. Explore this section because there are a lot of ways of teaching rhyming words to children, which includes simply voicing out a random word for them to pair with something that has the same end sound. Lastly, introducing the concept of syllables in a word is important. Let children group words with the same number of syllables. Eventually, try to challenge them with long words that has more than 3 syllables and see how they fare. Phonological Awareness Lab—A very comprehensive app that includes all of the above mentioned techniques, within a funny mad scientist theme. Syllable Splash—an enchanting ocean themed app that focuses on helping students practice counting syllables. Profile of Phonological Awareness— if you are sure how an individual or a group of your students are performing on their phonological skills this is an assessment to help you get a better assessment so that you know what to target. Phonological Awareness Detective: This resource includes open-ended board games to be used with the task cards provided to target phonological awareness skills. 2. Grab and Go Phonological Awareness by Kristine Lamb: This is a set of phonological cards that can be used for on-the-go therapy, centers, RTI, and in-class therapy sessions. There are cards for Phoneme Manipulation, Rhyming, Blending, Segmentation, Phoneme Addition & Deletion, and Phoneme Identification. 3. Robot Phonological Awareness: This TPT packet targets phonological awareness in eight different ways. Realizing the importance of Phonological Awareness in teaching our little ones is essential. Be imaginative and keep on discovering new techniques in teaching. The list can be endless if your creative inspiration hits you hard. 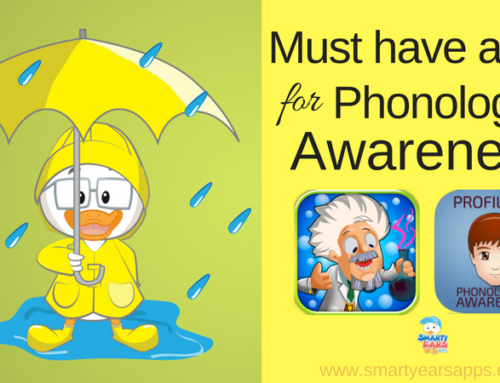 Also, you can never go wrong in using Phonological Awareness Lab along with the rest of the Smarty Ears apps, as an aid to effectively educate your students.